Remember that there is a National Heritage Resources Act. It is not a Municipal by-law, but a National law…so please don’t get caught on the wrong side of it. The Act deals with how heritage resources are to be managed, from setting up National, Provincial and Municipal heritage authorities through to requirements for approvals of development proposals. It deals with all heritage resources including archaeology, meteorites, burial grounds etc, and of course the built environment. If the building or area you are working in is a National (NHS) or Provincial Heritage Site (PHS) this clause pertains. 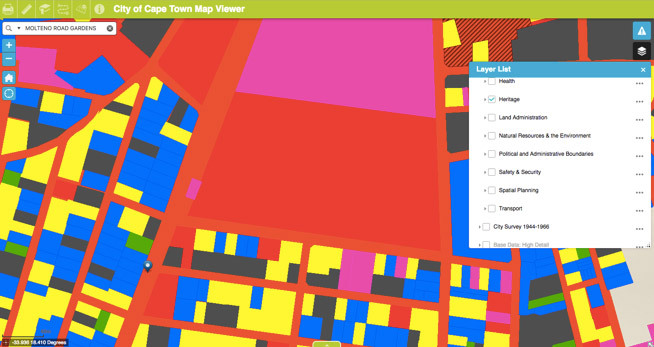 In Cape Town, one way to check whether a property has either status is by going onto the City’s Map Viewer (citymaps.capetown.gov.za/EGISViewer/). Roll into the base map to get to your site, go to the Layer List menu on the map and click on Themes and then Heritage. A menu will drop down with four types of searches relating to gradings and heritage protection overlays. Click on the item you need. The map will change to show your site’s status by demarcating it with a particular colour code. 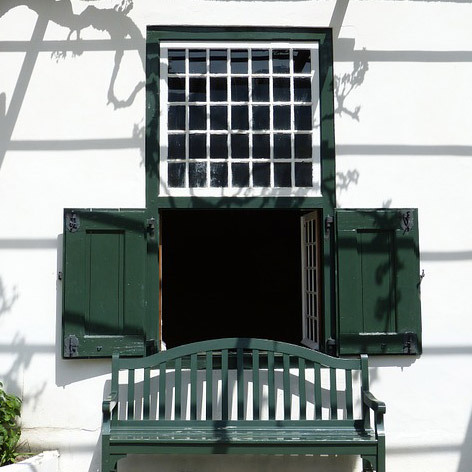 You need to apply to Heritage Western Cape for a permit to undertake the work. “any action affecting the structure, appearance or physical properties of a place or object, whether by way of structural or other works, by painting, plastering or other decoration or any other means”. “Alter” is also used in Section 27 above. So beware. must at the very earliest stages of initiating such a development, notify the responsible heritage resources authority and furnish it with details regarding the location, nature and extent of the proposed development. Clause c) and d) are normally the clauses that affect Architects. Notification is done through the submission of a Notification of Intent to Develop or “NID” to HWC. They will either respond that the section does not apply, or that they require a heritage report, better known as a heritage impact assessment or HIA. Please read the rest of these three clauses for the additional information. Please remember that although the project Architect may believe that they are sufficiently qualified and skilled to undertake the necessary historical research and to assign or establish the significance of a building, site or the environs, they should ensure that the applicable heritage resource authority accepts their credentials as a researcher and/or designer, or advise the Client to appoint someone with the appropriate credentials. Reservoir. This is a benchmark around whether a structure is over 60 years old. 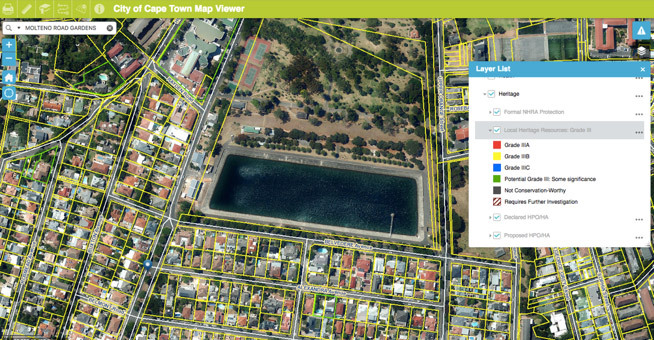 Figure 2 screenshot of City of Cape Town Map Viewer: grading layers on. 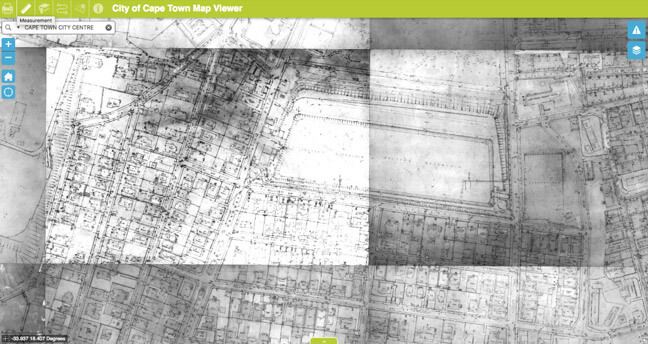 Figure 3 screen shot of City of Cape Town Map Viewer : grading description.